Slidejoy App, Unlock Your Lock Screen and Get Free Recharge. Just unlock mobile to get free mobile recharge, or transfer that balance to your bank account. Follow-up the mentioned steps to get free recharge on your mobile. Did you ever hear that by just unlocking your phone's screen will give you free money? You didn't have to do anything. Yeah, They are also giving you other many offers like; completing surveys, Downloading Apps, Referring, etc. You can now GET PAID to see news and some promotions on your lockscreen. 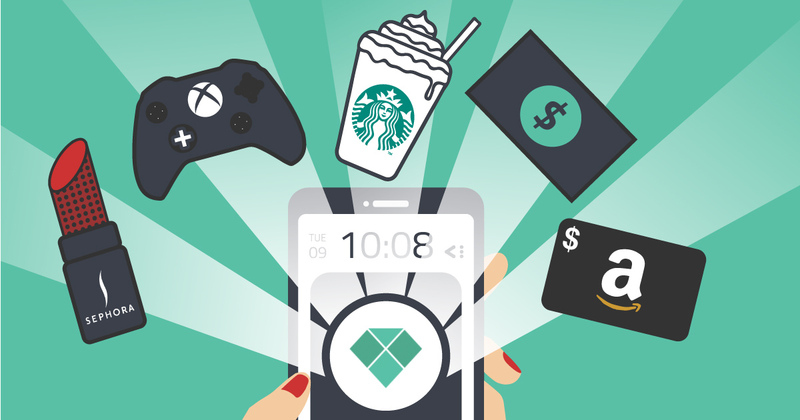 You can redeem your slidejoy carats for cash and gift cards to your favorite brands. Whenever you unlock your phone by this App then you will get carats. The more you unlock your phone, the more carats you will earn. Today, Earning Money is very hard in this competitive market. I didn't see any other apps like Slidejoy, which gave me free money by just doing very easy stuff. You can redeem carats on Paypal, as Amazon gift Card, or do mobile recharge. If you earn 1000 carats then you're eligible to redeem those carats. 1000 carats mean $1. It's like points to be redeemed. Follow below steps to get free Recharge. Add your Mobile Number to signup. Grant all permissions whatever the slidejoy needs. Disable your Phone's default lock screen to prevent to double locks.